I’m sat here in the barbers waiting to get my hair cut when I remembered about a framed letter hanging in a room in my aunt and uncle’s house. 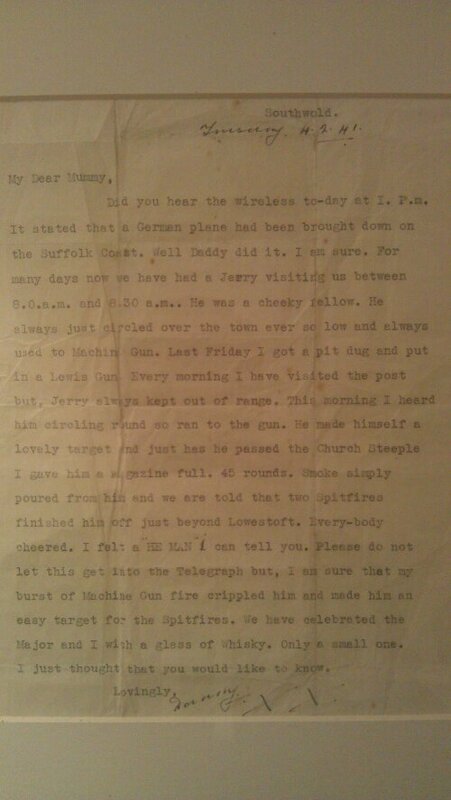 I thought I’d share it with you as I think it’s still important to have a taste of what life was like during wartime. I’m sure there was a lot of togetherness at time of need, but when that wasn’t possible people tried their best to stay in touch the best way they could. Of course there wasn’t the technology around then so emails, texts and Facebook were all out if the question, but it’s nice to know that people like to stay in touch allow it their loved ones to know they were ok.
Let’s take a moment to remember what those ladies and gentlemen did for us back there, which has enabled us to live our lives the way we want to! This entry was posted in General and tagged antique, conflict, history, letter, memories, wartime, world war. Bookmark the permalink. ← Wondering about password strength? A quick recommendation!